Until recently a subsidiary of Halliburton, KBR Construction is now one of the biggest construction and engineering firms in the world. It has projects all over the world, including expressways in Qatar, refineries in Singapore and the Palm Beach Renewable Energy Facility in Florida. To find out how to apply for KBR Construction online, read on. Since its days in Halliburton, KBR has had a special relationship with infrastructure and energy projects. With more awareness of the importance of sustainability, many new projects created by the company are done with an eye to sustainable projects, such as highways made from recycled plastic and garbage-powered power plants. The company’s primary values to its employees are a commitment to health, safety and transparency. Furthermore, the company culture encourages professional development through independent operation, autonomy and teamwork. The company prides itself on being at the forefront of technology and doing what it must to maintain its lead. Unfortunately, as part of that transition to a technologically advanced KBR Construction Application, you need to fill out two separate online profiles to apply for KBR Construction jobs online. Both are connected to at the link below. Furthermore, there is no printable application form. However, it is still a free application process. KBR provides professional opportunities: white collar, salaried career professionals with an eye towards advancement in the front office. Most of these jobs require some management background or a background in finance; due to the nature of the company, however, there are a fair number of job opportunities for people with a technical background. Jobs on this side of the company include schedulers, HSE professionals, project managers and superintendents. Trades workers can apply online for jobs at KBR Construction in the construction and maintenance division. These blue-collar jobs pay hourly wages and generally involve the operation and maintenance of construction machinery and/or other trades-based aspects of the construction industry. KBR Construction Careers in this division include electricians, pipefitters, welders, carpenters and scaffolders. How old do you have to be to work at KBR Construction? The minimum age for full-time employment is 16, but in practice most KBR Construction careers aside from “laborer” are either skilled trades, require other professional qualifications or relevant work experience. Most professional applicants will at least be in their twenties and most tradespeople will be at least 18. In general, workers can select from many benefits including vision, medical and dental coverage, life insurance, per diems for remote work, life insurance and danger pay if performing dangerous jobs in dangerous locations (internationally). Furthermore, workers are given opportunities for educational advancement, allowing you to apply for reimbursement for tuition on courses for professional development. 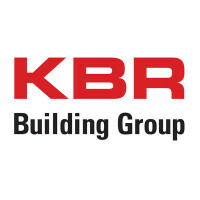 In order to apply for KBR Construction jobs online, please visit the link below. You will be presented with 5 choices: professional opportunities (2 sets), construction opportunities (2 sets) and Canadian opportunities. Assuming you’re not applying to work in Canada, you need to decide whether you’re looking for professional or trade type jobs and fill in both application forms. This is a direct application process. Electrician – Typical responsibilities of this position include installation, maintenance, activation and deactivation of electrical equipment as well as running cable, installing panels and junction boxes and ensuring that the wiring meets company standards. This job may provide a per diem for on site work. You may be required to train and supervise other electricians depending on seniority. Hourly rate for this job depends on seniority, location and project. Laboratory Technician – This position is for work in an industrial laboratory. You will be required to assist the primary researcher in performing tests by setting up equipment to parameters specified by the lead researcher, and actually making sure the test runs properly. Furthermore, you will be responsible for maintaining the condition of the lab and its equipment. Hourly rate for this job is about $21.00. Civil Field Engineer – This is an entry-level engineering position. You will be responsible for day-to-day engineering decisions on a construction site. You will be given plans for a building and, as construction proceeds, you will make decisions as to how to best implement these plans, making changes as necessary (e.g., pipe reroutes around local obstacles, etc.) Salary for this job is about $49,000. Scaffold Erector – This position is responsible for operating heavy machinery used to construct and remove scaffolding for a large project. You will be provided with the plans and timeline for the scaffolding and will be responsible for bringing the plan into reality quickly and safely. Hourly rate will be about $20.00 depending on location. You may receive a per diem for working at remote locations. Why do you want to work at KBR Construction? Ensure that you have done your research into the company. Name a significant project or feat that it has accomplished that has impressed you and talk about how it made you want to be a part of a team that has accomplished such an impressive deed. Where do you see yourself in five years? This question is often asked of professional track candidates. The people doing the hiring wants to gauge whether you see yourself as a long-term employee of the company or whether this is just a stepping stone en route to another job further on. Of course, the company prefers the former type of candidate, so be sure not to give the wrong impression. What are your weaknesses? Describe weaknesses that are significant, but will not have a major impact on the job you are doing. Requiring a structured environment might be an acceptable weakness if you’re applying to be an accountant or an electrician, but might not be acceptable if you’re a project manager or an analyst. You may encounter questions such as Describe a new innovation in your field that you would apply to our projects or How would you apply **NEW TECHNOLOGY** to your new position at our company? These are technical questions that demonstrate that you are up to date with the state of the art in your field. You need to prepare for these questions by keeping up with developments in your field of specialization (which is something you should do regardless of whether you are searching for a job) and researching what in general the company has been trying to accomplish with recent projects. Then consider how new developments in your field could be applied to those projects within you’re the scope of your job. In order to apply for KBR Construction jobs online, you will need to fill in both applications for the career track you are interested in. It is advisable that you do this even if you’re only interested in jobs listed under one set of applications. This is so that recruiters can refer to your resume in the event that new opportunities come up that fit your resume. Unfortunately, there is no printable application for KBR Construction, nor can you download application form and submit it via email or some other process. Recruiters will want to crosscheck both of your online application forms and, of course, be sure that you follow the instructions on the site saying “fill in both profiles”. Note also that usually, only the second application set has descriptions for a position listed. When you create your profile, it is important that you tailor your profile so that you target the jobs you are most interested in. Read through the job descriptions and fill in your profile so that keywords that frequently appear in job descriptions that appeal to you also appear in your profile. As this company has positions all over the world, it is likely that you will be contacted for a phone interview. Although phone interviews are generally in a more comfortable environment than interviews at the company premises, you don’t get the visual feedback you’d get from an in person interview. It is important to have the following material at hand for your phone interview: your resume, the job description and the company website. If you think you’ll have to make reference to a particular page, have that ready as well. Read through all your material prior to the interview. If possible rehearse some interview questions beforehand. Kansas City Power & Light: Visit the Kansas City Power & Light application. Gulf Power: Use the Gulf Power job application to apply here. PECO: PECO offers opportunities for both, beginners and experienced roles. Memphis Light Gas And Water: See our guide for careers at Memphis Light Gas And Water. Tesoro: For career opportunities, fill out the Tesoro online application.